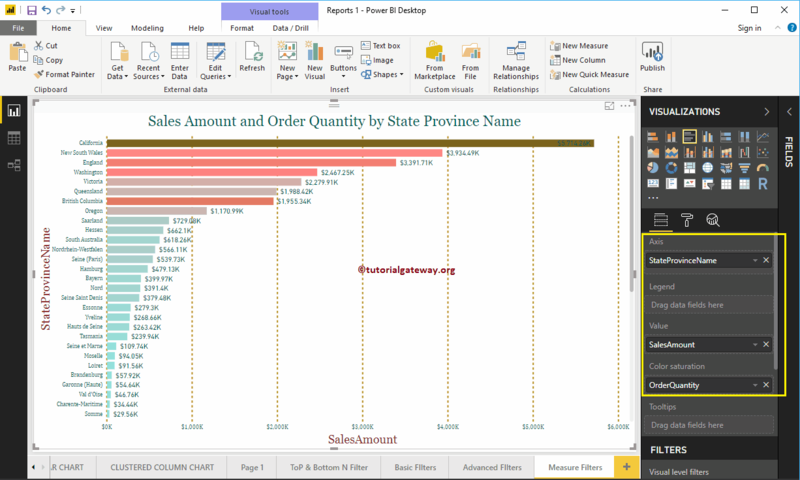 Power BI Measures Filters are used to filter the measures (metric values). 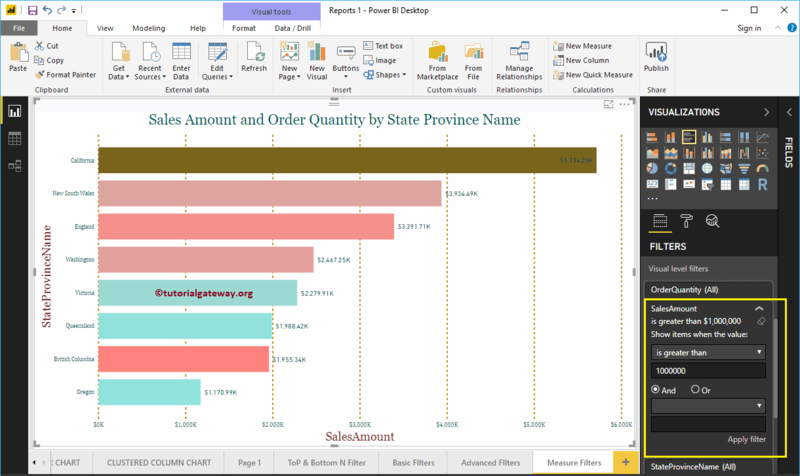 For example, we can display the products with sales greater than threshold, or less than average etc. 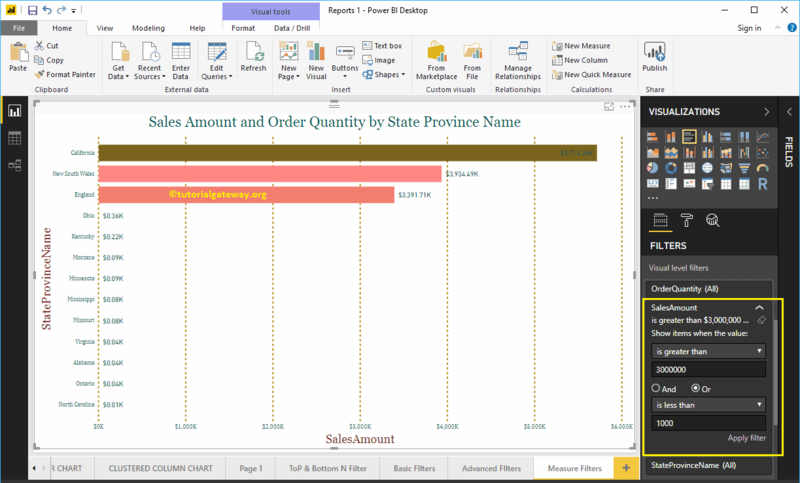 In this article we will show you, How to create Power BI Filters on Measures with example. 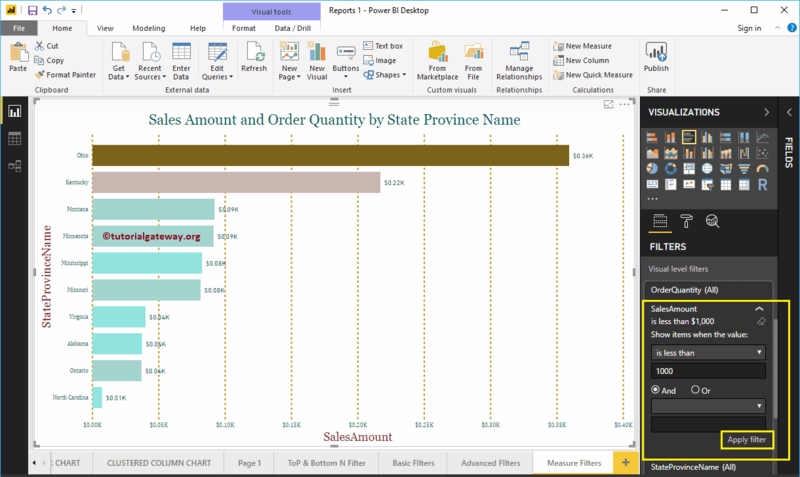 To demonstrate the Measure Filters in Power BI, we are going to use the Bar Chart that we created in our earlier post. 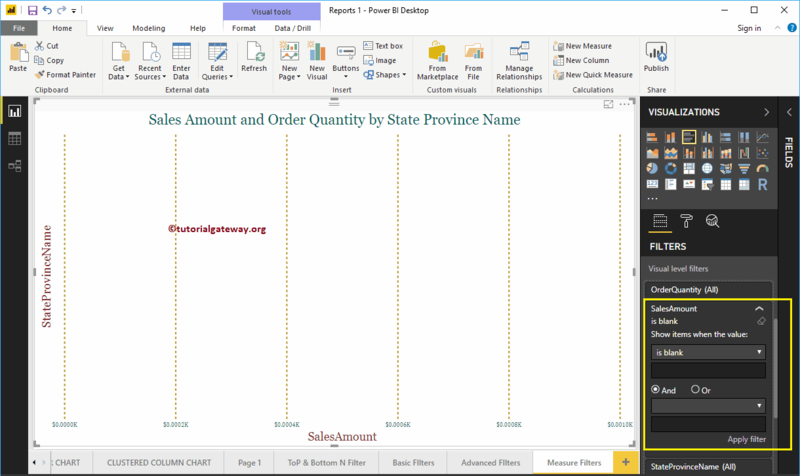 As you can see from the below screenshot, we used the State Province Name as an Axis field, Sales amount as a Value field, and Order Quantity as Color saturation. Show Items when the Value: Please select the opertor that you want to use. Empty Text box: Please specify the value. And and Or: Same as AND and OR Operators in SQL. Use this to concatenate multiple filters. Empty drop down list: Please select the second operator that you want to use. 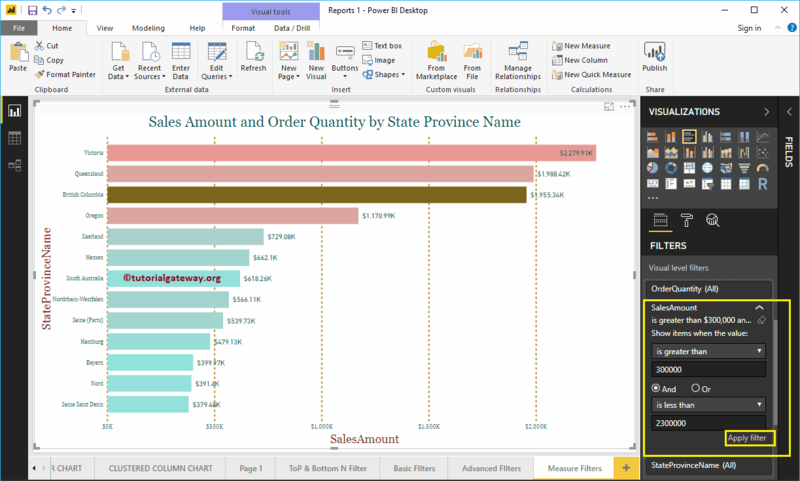 Empty Text box: Please specify the value for second filter. 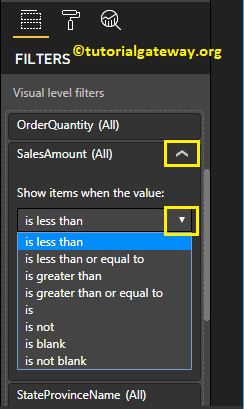 is less than: When this option is selected, it will check each records against the Value. And if it is less than the user specified value then, the record will be displayed. is less than or equal to: If it is less than or equal to the given value then, the record will display. is greater than or equal to: Displays the records whose sales amount is greater than or equal to given value. is: If the record matches exactly with the value then, the record will display. is not: If the record is not equal to the value then the record will displayed. is blank: It will display all the records with blank values. is not blank: It will display all the records that contains no blank values. For these Measure Filters in Power BI demonstration purpose, we selected is greater than as the operator, and 1000000 as the value. Below report is displaying the states whose Sales Amount is greater than 1000000.